Most people know that to lose weight you have to decrease your caloric intake and or increase your energy expenditure. Some people who have struggled with their weight for years may also resort to weight loss surgery to help them. There are several medical procedures that bypass the stomach or reduce it's size so the amount of food one can eat is restricted. I once met a man who used to weigh nearly 500 pounds. When I saw him again over a year later, he had lost over 260 pounds. He said he had bariatric surgery, and he was ecstatic because he could now fit in a chair. He said he used to eat an entire pizza every night by himself, but now he can only eat small portions, and he no longer craves food like he used to. -Be 18 years of age or older. -Have tried previously to lose weight through traditional means of diet and exercise. -Have a BMI over 35 or be more than 100 pounds over weight. -Have comorbidity symptoms (other health complications besides being overweight). -Receive medical, nutritional, and psychological counseling prior to the procedure. Some of the positive benefits of weight loss surgery, besides weight loss, include decreased blood pressure, decreased sleep apnea, and improved self esteem once they are finally able to lose weight after years of trying. It is also an instant cure for diabetes. Depending on the type of procedure one has, they could potentially experience the following negative side effects. -Nutritional deficiencies due to decreased digestion and absorption of food as a result of some procedures. -Dumping syndrome where the stomach contents pass from the stomach to the intestine too quickly. 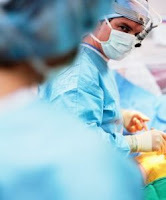 -Surgery complications with possible repeat procedures. I'm not promoting weight loss surgery, but I thought it is only fair to address it since it has helped some people who have struggled for years trying to lose weight with traditional methods. It is definitely not for your average Joe who just needs to drop 30 pounds. In order to be successful long-term, patients still need to learn to eat right and exercise, so it's obviously not a substitution for healthy living but rather one way to get back to a healthier weight. I like the idea of weight loss surgery, but I still prefer losing weight naturally. Thanks for sharing your insights anyway. Over eight years ago I had the bypass surgery and lost over 150 pounds; today I still sing its praises however it is still difficult even after all these years not to fall into the same old routine that got me there in the first place. I am one of the unlucky ones, that I did not get the much needed nutritional coaching and had to figure it out by myself and still I am trying to learn. Luckily I have found your blog and will glean a lot of information from you. I think weight loss people is fine for those who haven't put in a valiant effort at losing weight using traditional measures (dump the fast food, exercise, etc.). The key is that these people need to maintain they're motivation after the surgery. This should not be a quick fix routine. I've seen some success stories and other complete failures where most of the weight is gained back. I must admit that weight loss surgery is a great tool for many to use. I just know from a friend that it is a very painful procedure and makes you wonder why they didnt just stop allowing themselves to get so big. Great article though.